It would appear the kid gloves are coming off in the battle for Android smartphone supremacy, as more reports point to HTC readying a phablet of its own to take on Samsung's Galaxy Note 3. 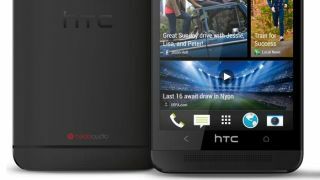 On Tuesday, the first rumors about the HTC T6 surfaced, indicating a new large-screen device was in the works at the Taiwanese manufacturer. The HTC One already encroached on Samsung's Android dominance with the Galaxy S4, but based on newly leaked specs, HTC is thinking bigger. While the phablet game has largely been Samsung's to lose at this point, the supposed specs for the T6 might finally give the Note series a run for its money. Frequent tipster evleaks took to The Unlockr to spill the beans on the T6's potential power and features. Like the Note 3, the T6 is expected to feature a 5.9-inch full-HD screen and a stylus, but that's pretty much where the similarities will end. Though HTC might be planning on providing a pen for the T6, the company is apparently attempting to make its stylus a "premium experience," which would include an ultra-thin tip capable of a range of manipulation capabilities. Where the Note 3 is believed to be using the outrageous octa-core processor and Android 4.3, HTC will reportedly build the T6 to include a 2.3GHz quad-core Snapdragon 800 processor to run Android 5.0: Key Lime Pie. Since Key Lime Pie isn't exactly available just yet, the T6's use of the yet-to-be-seen Android operating system could mean it won't see the light of day until later this year. HTC's T6 is also tipped to sport 2GB RAM and 16GB of internal storage (with a microSD expansion slot), which should help keep pace with the Note 3's potentially similar specs. HTC could also be following Samsung slightly in the way the T6 will be designed. It hopes to emulate a larger HTC One the same way the Note 3 would be a larger Galaxy S4. The T6 should keep the BoomSound speakers (with dedicated audio processor) and have the UltraPixel camera on the rear of the device. The front-facing camera is expected to be a 2.1MP lens, and HTC will likely attribute its Sense skin on top of the Android OS. Battery life will also be a big sticking point for the T6, as HTC isn't reportedly content to merely leave the 3300mAh battery to power the device alone. In addition to the inner battery, the phablet may feature a protective case/battery with an extra 1250mAh to keep the T6 going when the charge winds down. The striking new feature from this latest leak though is the suggestion the T6 will pack a biometric fingerprint reader on its rear, which will unlock the handset as soon as you grip it. On its own, the HTC T6 sounds like it could be a rather impressive device, but it will have to deal with the potential consumer base already being entrenched in the Samsung brand. Until we know more concrete details about the Note 3 and the HTC T6, it's too early to call which phablet has the inside track. Curious what Android phone is best for you? Learn more about the Best Android Phones with our handy guide.